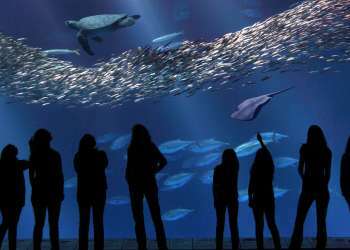 The Monterey Mirror Maze’s friendly storefront is located across the way from InterContinental The Clement Monterey, just a block from the world-famous aquarium. The inside is a playful version of what I envision Cannery Row once looked like: old storefront buildings, canneries and a mural of the Monterey Bay. General Manager Leslie greeted me behind the boat and gave me the run down on the maze. 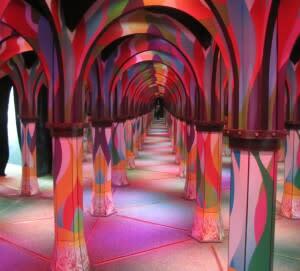 Apparently the mirror maze craze began in England and has since spread rapidly through the United States. 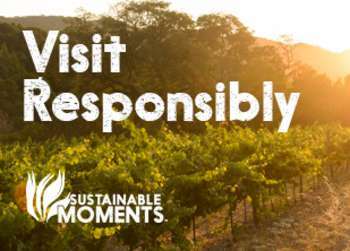 Lucky for us Monterey was able to score one! Leslie told me to imagine that I was tracking down a bank robber once in the maze, much like the bank robbery incident in 1933. 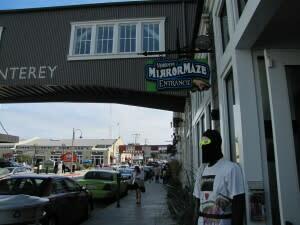 Cops scoured Cannery Row in the network of back alleys and old warehouses in hopes of catching the thieves. I was certainly up for the challenge! 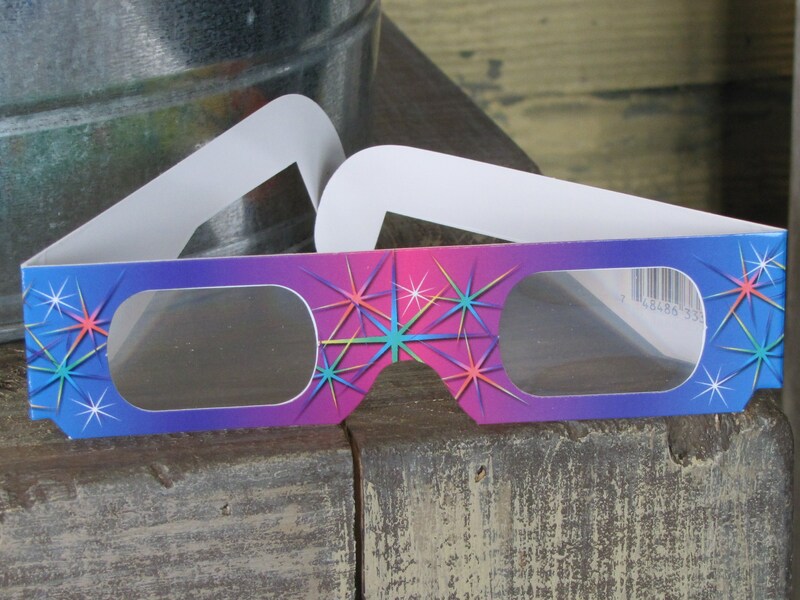 Leslie handed me a pair or Kaleidoscope Glasses and off I went. Once inside the maze I soon realized that finding my way through the labyrinth of mirrors was not going to be an easy task. The psychedelic colors, pulsing strobe lights and fist-pumping music quickly tapped into my senses and made me feel as though I was running after something or someone… bank robbers perhaps? I gave the maze an honest shot on my own but after repeatedly bumping into mirrors and eventually making a loop not to find the exit I recruited a spirited young fellow. 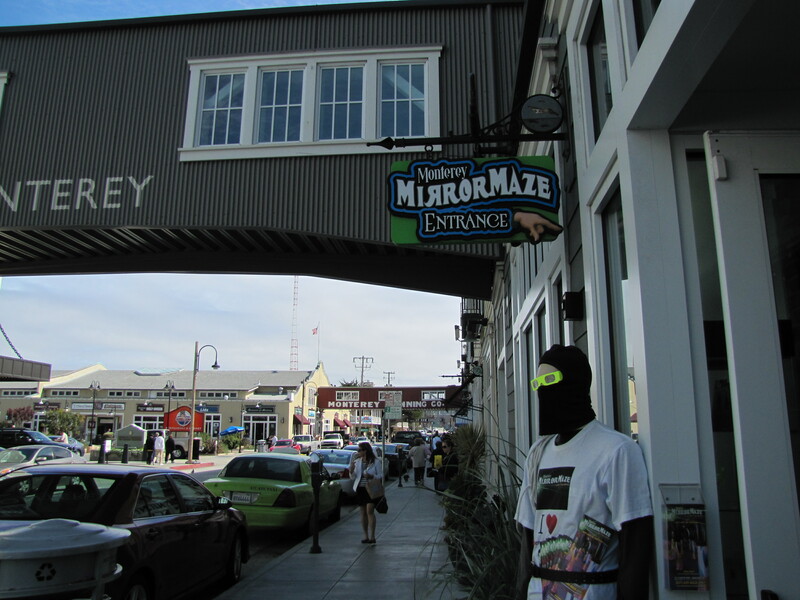 Jack was visiting Cannery Row with his Mom and stopped into the Mirror Maze. He was soon addicted and had done the maze at least seven times prior before running into me (literally). Jack was constantly tripping me out. I found myself talking to one image of him and soon realized he was actually standing behind me. My new tour guide was able to maneuver through the maze with ease; we even spotted a cop and a bank robber along the way. After a few more minutes of stealth moves I made it out of the maze alive. It was a blast! I can see why Jack kept going back for more and luckily the ticket price includes unlimited entries all day long or you can always try the Laser Challenge. 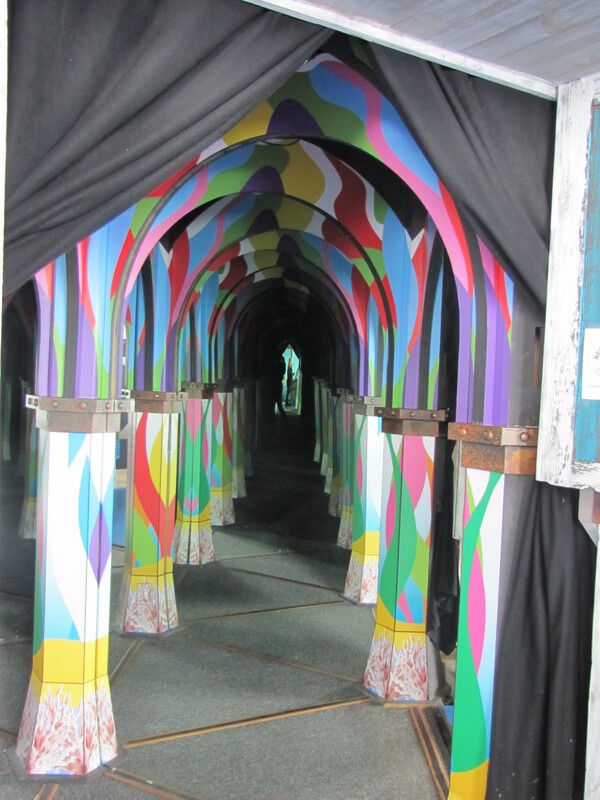 Tickets to the Monterey Mirror Maze are $12, $8 for kiddos 4-6, and free for those under 3. 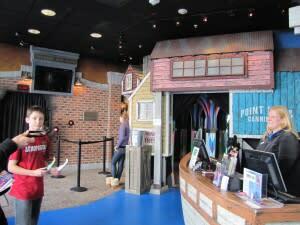 For an extra $3 brave souls can test out their spy skills in the Laser Challenge. 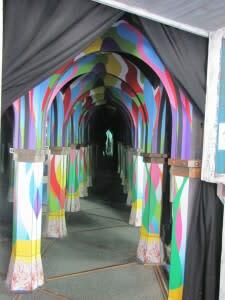 The Mirror Maze is also available for private parties and team building events.